This year, I was lucky enough to be in Japan during Sakura Season. The blooming of cherry blossoms trees in Japan when spring comes was one of the most beautiful sights in the world. It's such a gorgeous sight that even the Japanese themselves cannot get enough of. For hundreds of years, they have been celebrating Hanami which is when they have picnics under the cherry blossom trees to look at the hanami. I already miss Japan! I wish I can come back again next year. What I miss most is the excitement of seeing the beautiful sakura tree, cool weather, so many kawaii stuffs, and the delicious Japanese food. 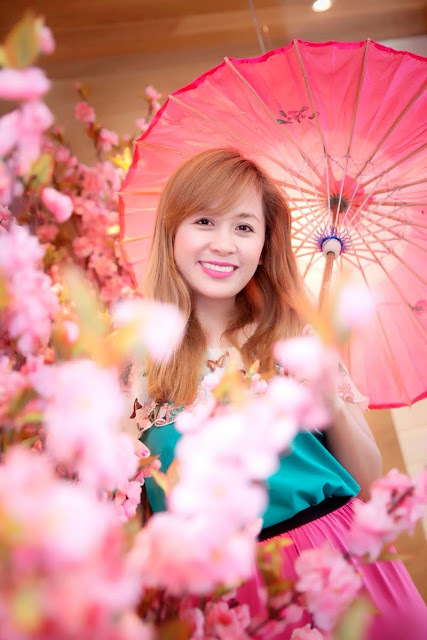 Imagine my excitement when TOKYO BUBBLE TEA have decided to bring SAKURA SEASON in the Philippines! Just a week after I came back from Japan, Tokyo Bubble Tea invited me to try their new seasonal Sakura offerings for the summer in their branch in Katipunan. 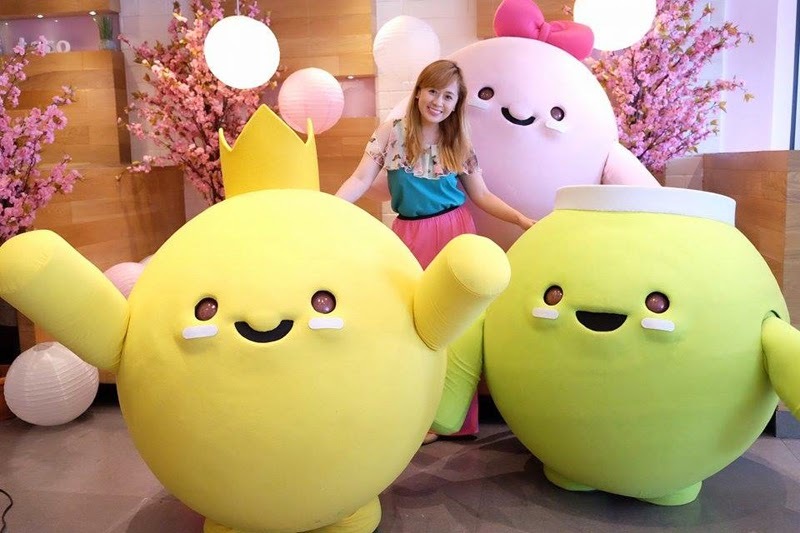 Thank you so much Tokyo Bubble Tea for inviting me! 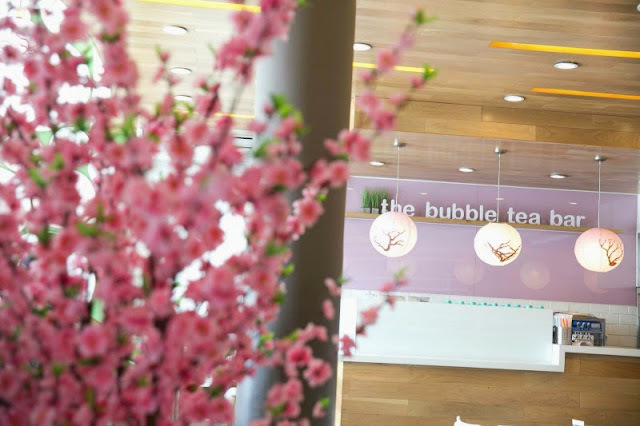 TOKYO BUBBLE TEA is a homegrown concept. 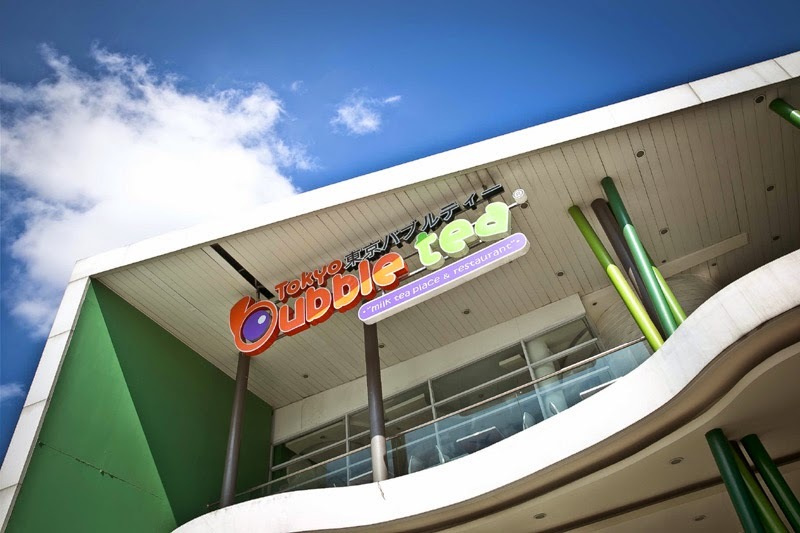 It was built upon inspiration from Mr. Reagan Tan's discovery of bubble drinks in Canada. He took this idea and made it even better by turning it into a restaurant which offers a wide variety of tasty drinks and delectably savory Japanese fusion food. 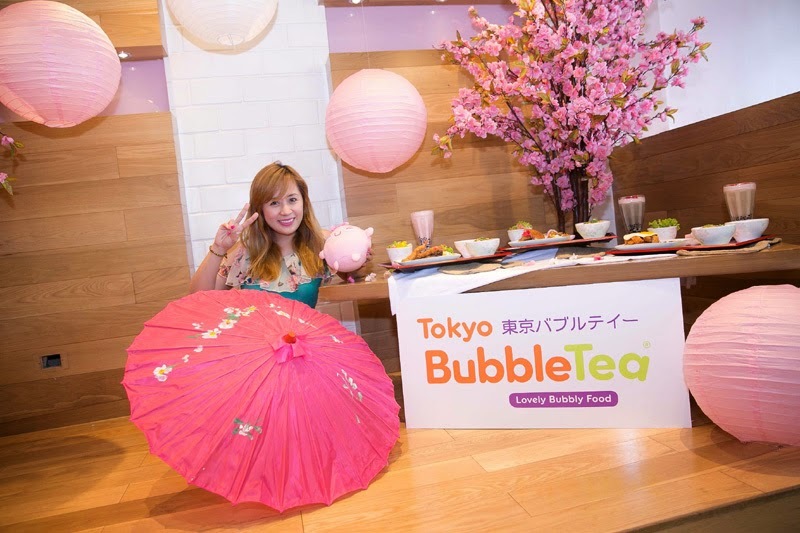 Tokyo Bubble Tea opened its first store in SM Megamall way back in 2007 and eight years later, Tokyo Bubble Tea has grown to eleven locations! Wow! What a ride it has been! 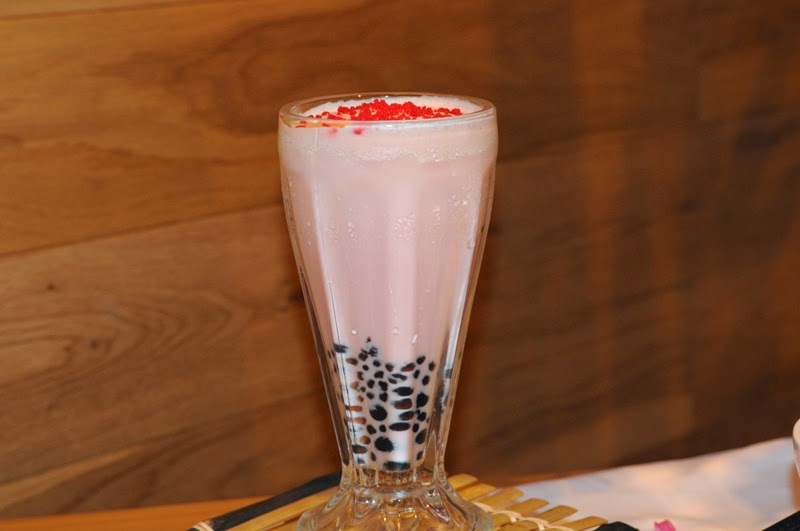 What makes Tokyo Bubble Tea different from all the other tea shops in the country is its amazing menu! 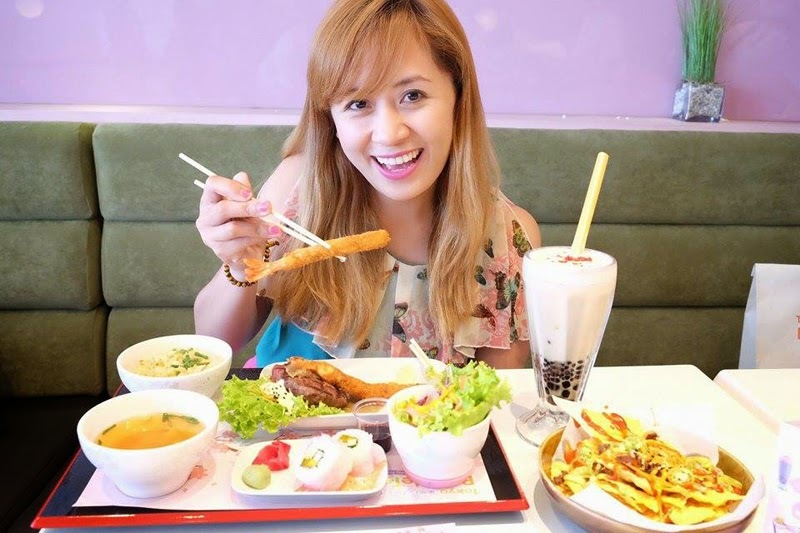 Dining at Tokyo Bubble Tea means having their lovely bubbly food which will surely tickle your tummy and delight all of your senses while being served by their warm and friendly staff! I also love coming back at Tokyo Bubble Tea because of the fun and lively ambiance. Feel the spring vibe when you take a sip of their SAKURA JCC MILK TEAS! 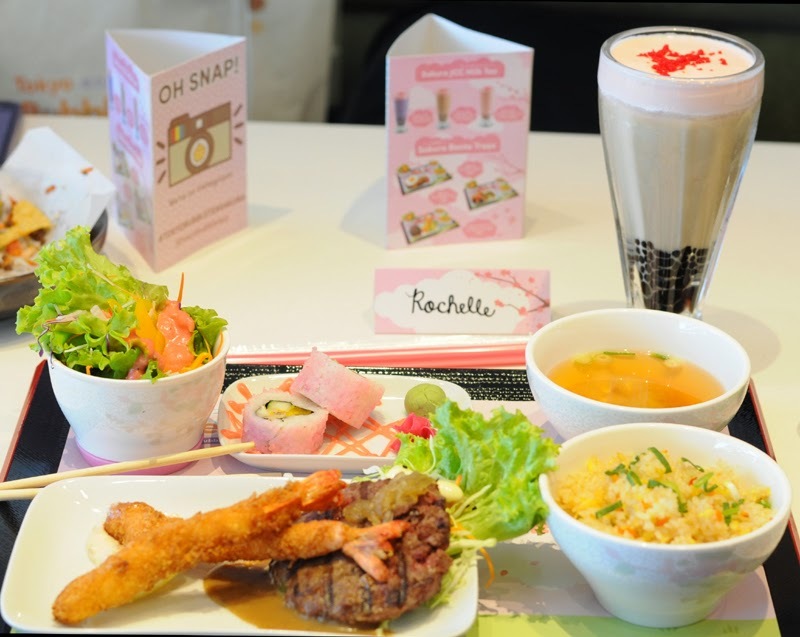 Try the Sakura Royal Milk Tea, Sakura Strawberry Milk Tea, and Sakura Taro Milk Tea! 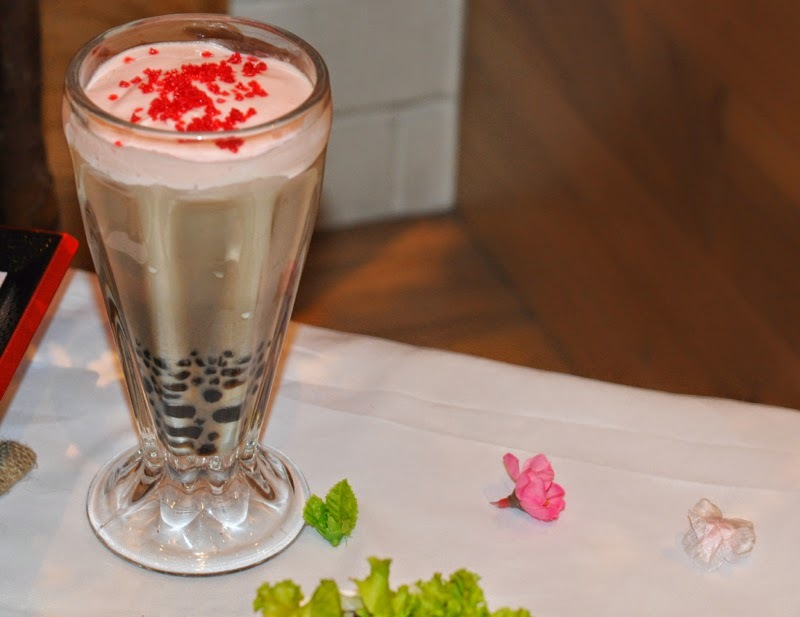 These bubbly beverages will surely quench your thirst as they feature a Sakura spin on the typical Tokyo Bubble Tea JCC! 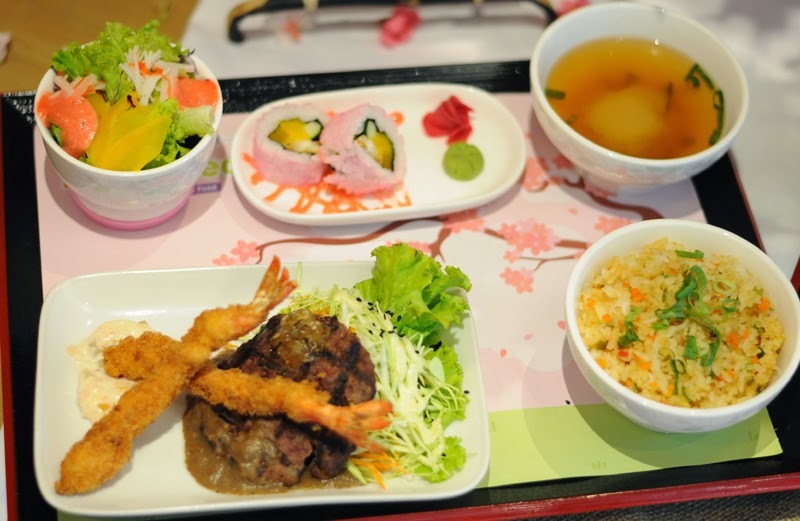 I ordered their Sakura Ebi Furai with Hamburg and Sakura Royal Milk Tea. It was so yummy! 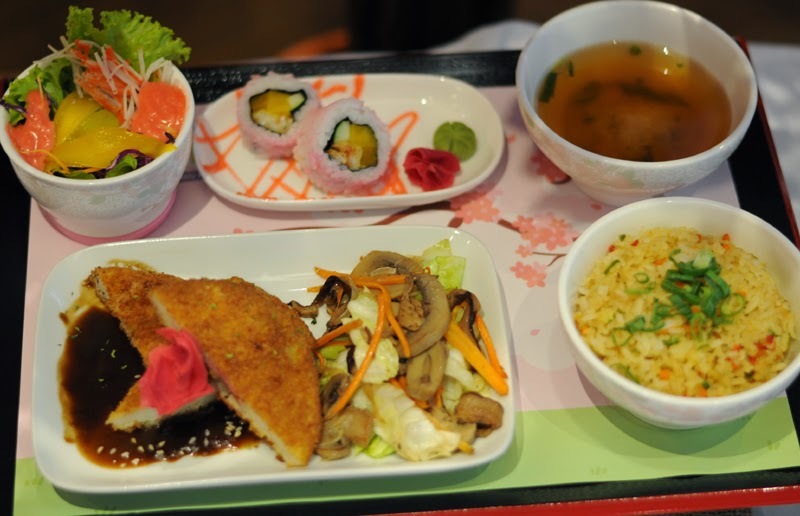 Each tray comes with a main course, miso soup, fried rice, Sakura salad and Sakura maki that were made especially for the season! 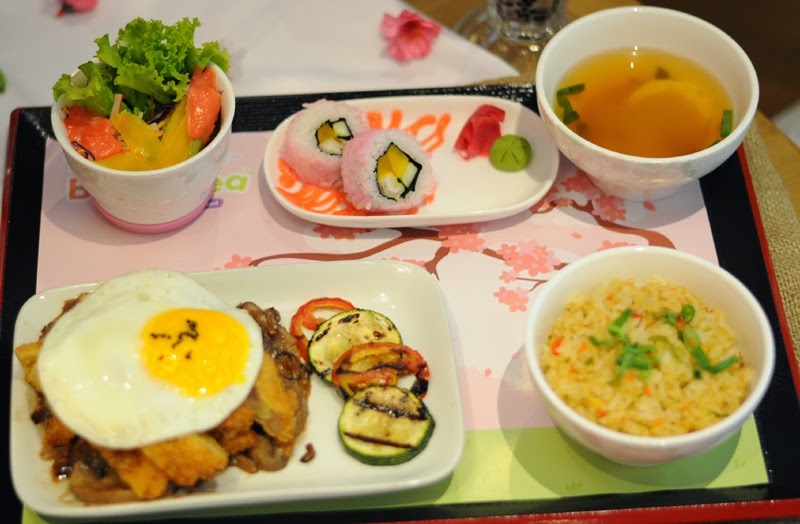 The Sakura Mango Roll makes for a perfectly sweet ending to your meal after having a Tokyo Bubble Tea Sakura Bento Tray. The cake also goes very well with the Sakura JCC Milk Teas. After experiencing Hanami with the Sakura Season menu offerings, order a slice of the Sakura Mango Roll for a very Japanese experience. The arrival of Spring brings the cherry blossoms and that is what inspired their limited edition cake, the Sakura Mango Roll. Bring this cake home or give it to someone special for only P550 or if you just want a quick bite, have a slice for only P120. Its lightly sweet pink frosting covers the chiffon cake and is accented with flower decorations gives it a truly Japanese look that people love. 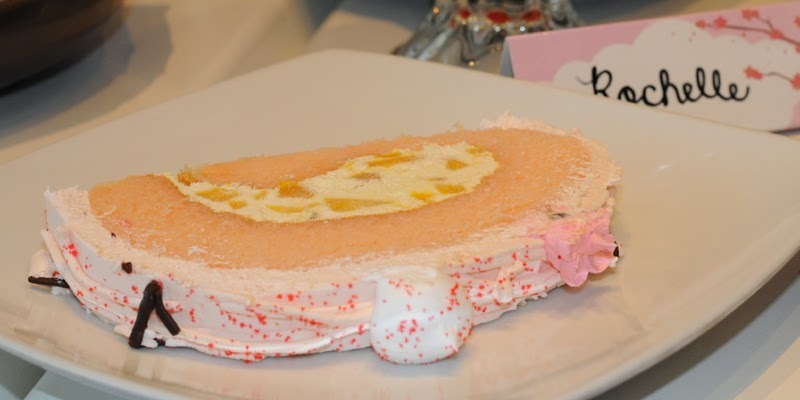 It has a creamy mango center that gives it an extra touch of freshness and complements the sweet outer layer of the cake. 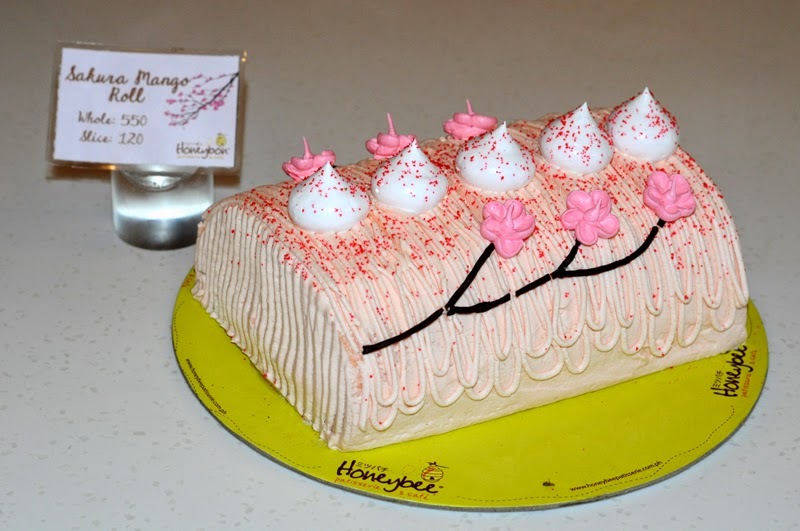 Honeybon is a Japanese-inspired cake and pastry shop so a lot of their cakes have Japanese elements in them. You'll see these in their matcha-flavored cakes and how well-designed the cakes are. The precision involved in the presentation, slicing, and overlook of the cakes is reminiscent of how careful and skillful the Japanese are. The best thing about their cakes is how they taste as good as they look. 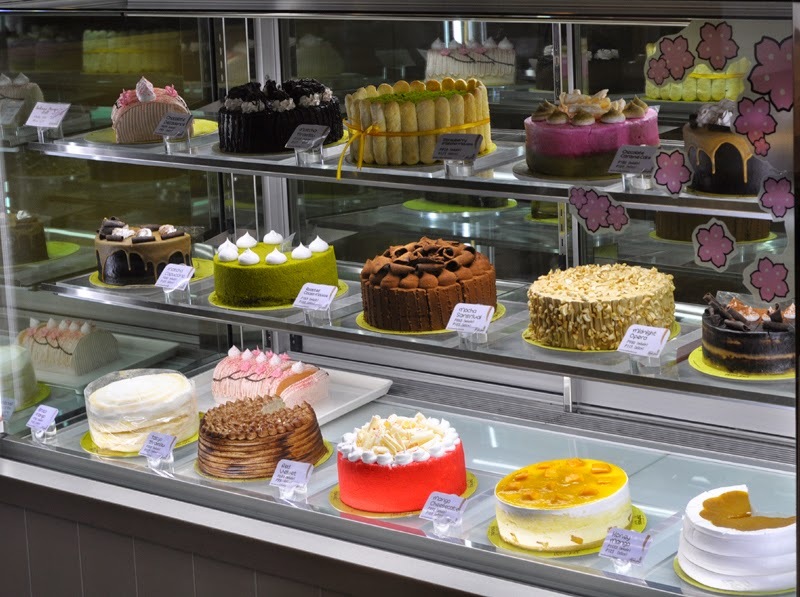 These are cakes you would love to give and share with the people who mean most to you. Every cake is carefully crafted in order to present something beautiful and delicious. SAKURA is a cuddly and cute girly-girl. She loves everything pink and dainty which is why she always wears an adorable bow. She is one of the kindest and sweetest creatures you will ever meet and you will love spending time with her. ICHIBAN is the little prince. Being a prince, he sometimes gets a little mad when things don't go his way but he is actually very, very nice. He loves his friends for showing him a great time outside the doors of his palace and letting him feel like a regular Bubblet who can go a little wild and crazy. MIDORI is the most adventurous of the three! He's very playful and mischievous so he's always dragging the other two into crazy and fun adventures! Even though Midori can be a little impish sometimes, he would never do anything that would hurt anyone. Hanging out with Midori guarantees a fun time filled with laughs and giggles. They're just too cute! 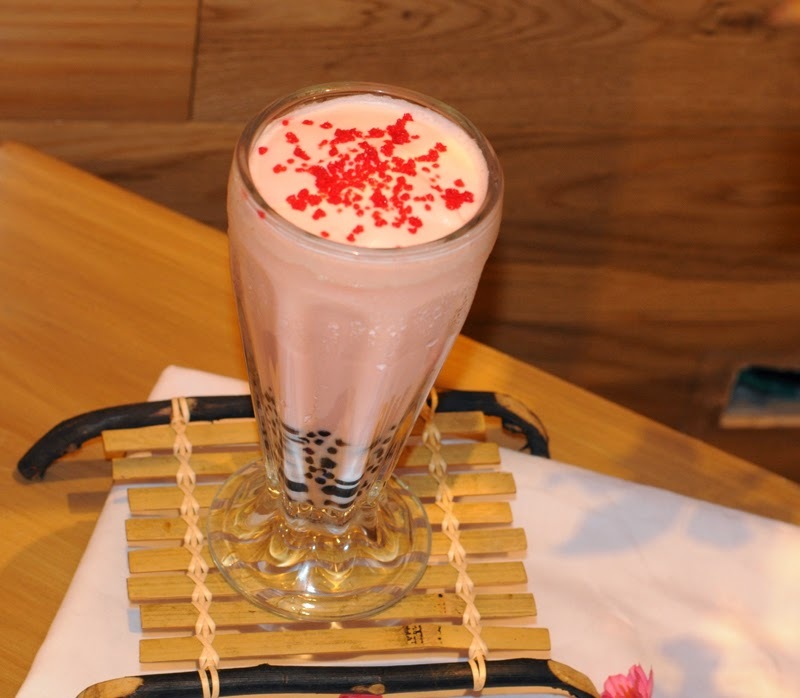 Having Sakura, Midori and Ichiban surely has made Tokyo Bubble Tea three times more fun. The awesome customers who will mix and match these trays and drinks will get to pick a prize from their special Sakura tree which is overflowing with exclusive Tokyo Bubble Tea merchandise including super cute plush toys and snazzy tees featuring their three charming Bubblets: Sakura, Midori and Ichiban! 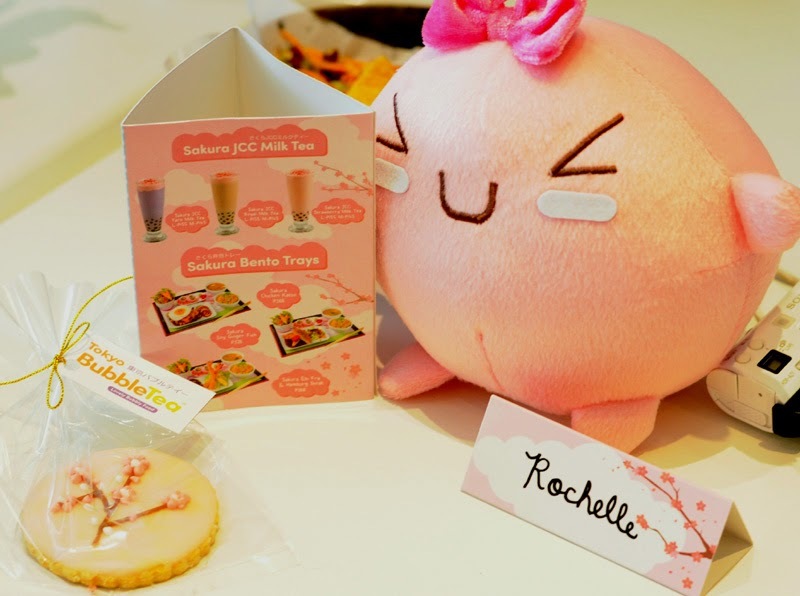 You can also get some awesome vouchers which you can use to satisfy your rumbling bellies at Tokyo Bubble Tea! 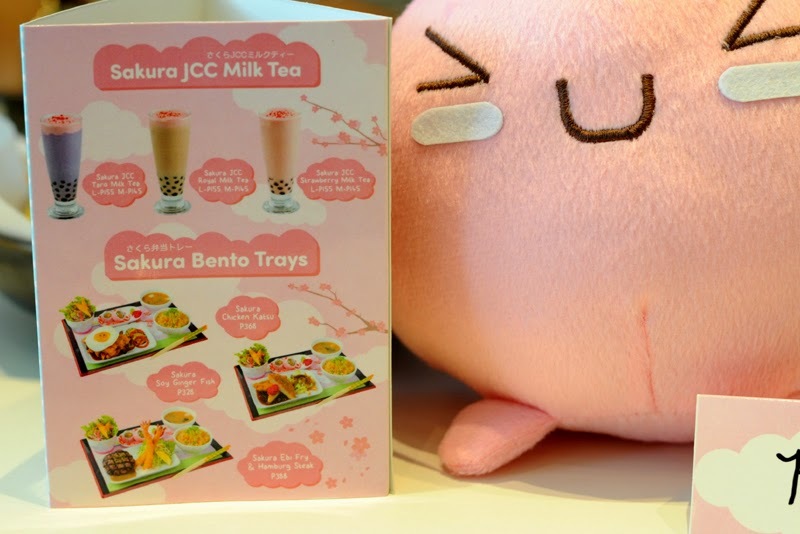 Visit one of their branches now and experience Sakura with their Sakura Bento Trays and Sakura JCC Milk Tea offerings!